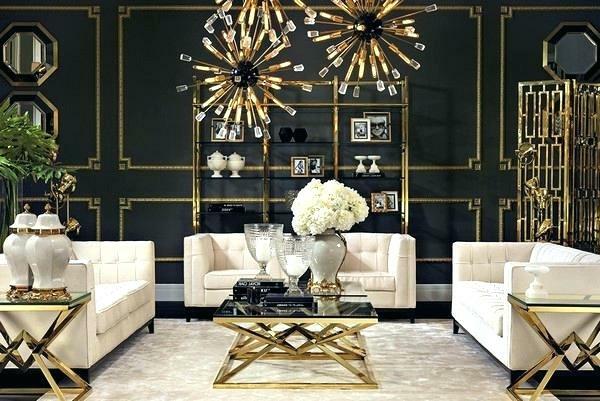 Recently there has been a big push for homeowners to bring the glamour of the Roaring ’20s into their living space with Art Deco interior design. Short for Arts Décoratifs, this style is characterized by rich colours, bold geometry, and decadent detail work; everything that can bring a little more ‘oomph’ to your space! If you’re ready to add some Deco details to your interior, follow along for our tips on how to include Art Deco designs to any room in your home. 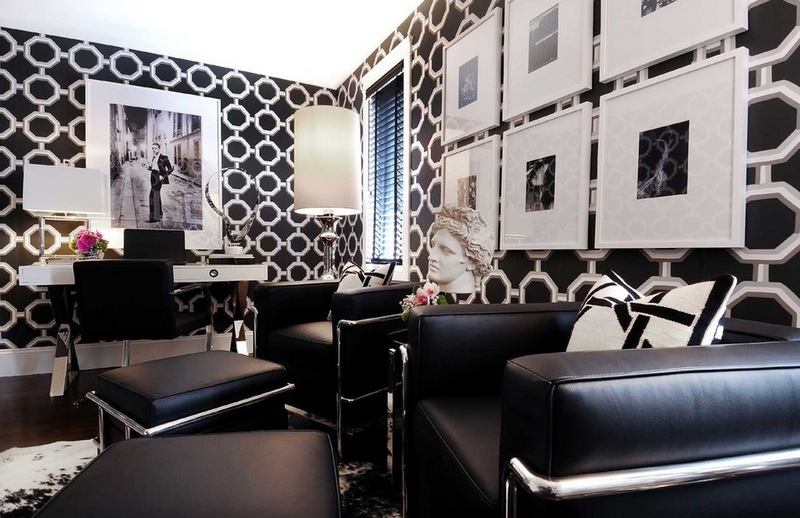 If you have seen any sort of Art Deco interior design, you’ll know the style relies heavily on the dramatic, and there’s nothing that makes a bold statement quite like dark interior paint. Dark, rich wall colours like navy, dark green, or black really make the impact this trend is known for. If you’re feeling extra brave we’d even suggest trying patterned wallpaper in a large-scale print to really affect the space. Of course, you don’t have to make a big commitment with a new paint job but you’ll find that this can make your room look larger because it gives an illusion of infinite space. Be sure to add decorative gold accent pieces to your walls and in other details of the room in order to bring out the colour of the walls. One of the defining aspects of 1920s home décor was the sudden availability and use of metallic decorative pieces. Since designers began to have access to mass-produced metallics, we’ve seen a lot of reflective materials in the interior design styles of the 20s and 30s. We recommend starting with a large statement mirror and decorative gold light fixtures added to your walls, to really bring this trend into your space. Change your light switch covers, register covers, and outlets with ornate metallic pieces in order to tie the room together with small pieces. Lavish fabrics and materials were often used in the Art Deco period to give the appearance of wealth and class. Designers of the time wanted to make the Industrial Modern style more soft, liveable and beautiful by balancing modernism with sophistication and beauty. In the same way, you can use these textiles to elevate the look and feel of your home décor in an extremely stylized, yet comfortable, way. Start by incorporating fabrics like velvet into your furniture pieces and curtains, then unlock your wild side by adding faux fur pillows and throws to your couches and accent chairs to really pull the space together. Like bold coloured paint, Art Deco style also involves boldly patterned flooring in areas like the kitchen and bathroom. Black and white tiles are especially popular, as the dramatic contrast between the white and black checkered tile create a powerful statement. This is one of the simplest, yet boldest touches you can add to any room in your home. This gives you lots of options despite being only two colours. 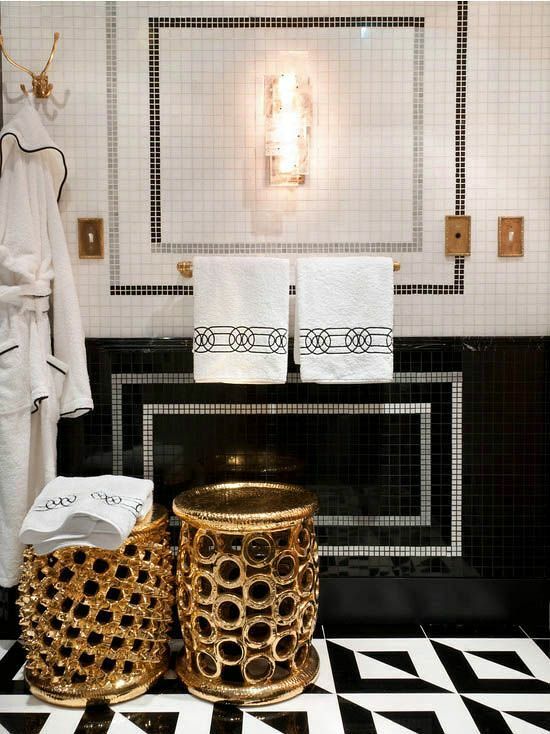 Simply fill a space with large, bold black and white patterns or decide to go with smaller tiles in tight geometric patterns; either way works wonders! If you’re not ready to make the commitment to an entire floor, you can still incorporate this great look into your home by adding checkered tile on your kitchen backsplash or subway tile to your shower interior. One of the hardest things most homeowners come across when trying to work this style into their rooms is the furniture this trend promotes. 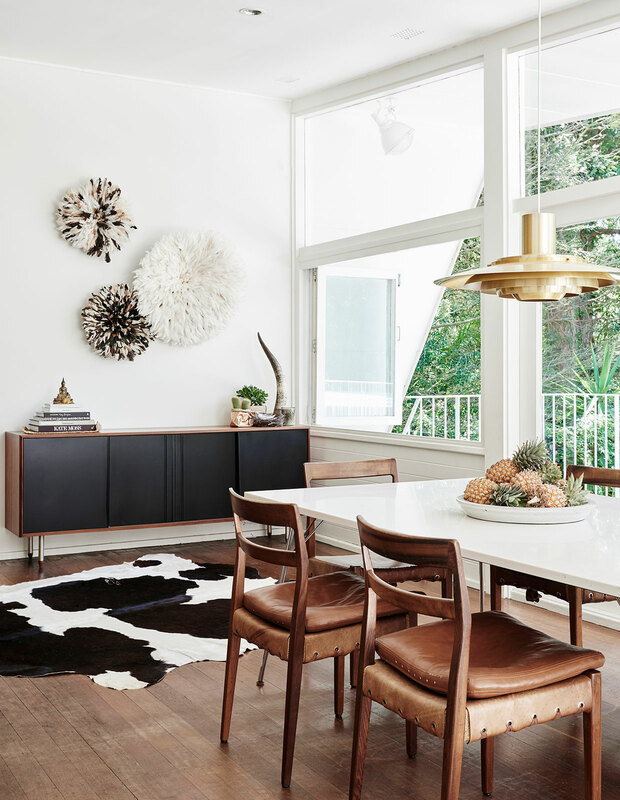 With our recent love for minimalism and midcentury modern décor still fresh in our minds, these pieces have a tendency to look eccentric and over the top in comparison. However, there are subtle ways to add it to your home! Try incorporating the style in small details, like an ornate headboard for your master bedroom or a decorative coffee table in your living room. This furniture should have streamlined shapes and very straight edges. However, if there are curves present, they should be exaggerated but symmetrical. 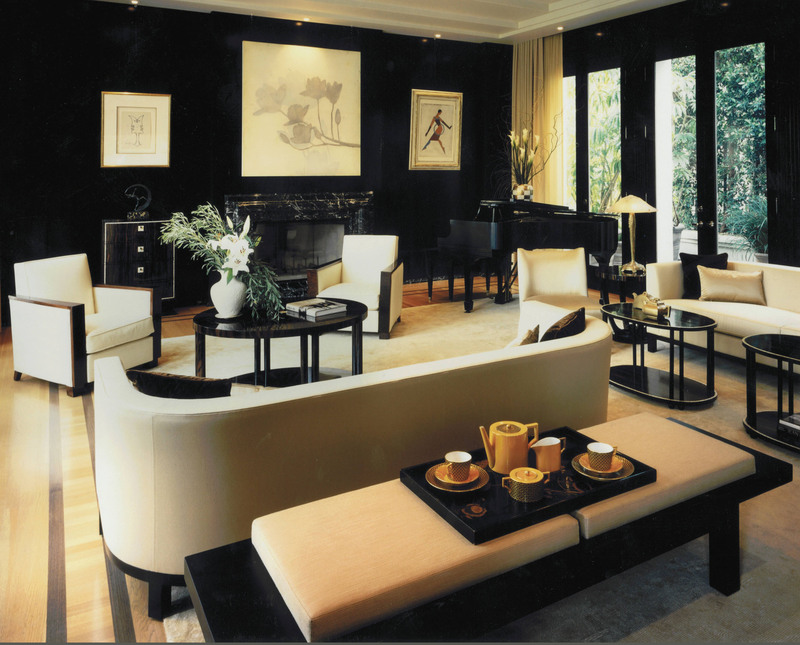 The key to incorporating Art Deco furniture into your home is to take your time and start small. Swap out a few pieces and look to designers for inspiration. When done correctly, it should feel right at home in any room’s décor. 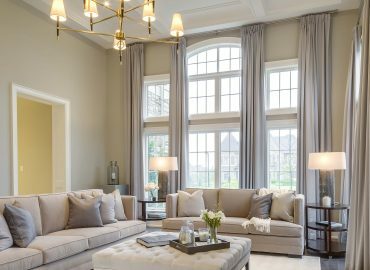 Although this style reached the height of its popularity in the 1920s, ’30s, and ’40s, people are still looking to capture the glamour, luxury, and order this style brings with its symmetrical designs and exuberant shapes. Whether you incorporate Art Deco from floor to ceiling or just add a chair or side table into the mix, this style is sure to elevate your space! Be sure to follow SkyHomes’ blog series for more information about emerging styles and trends as well as our new developments! Elegant Halloween Decorating Ideas for Your Luxury Home! 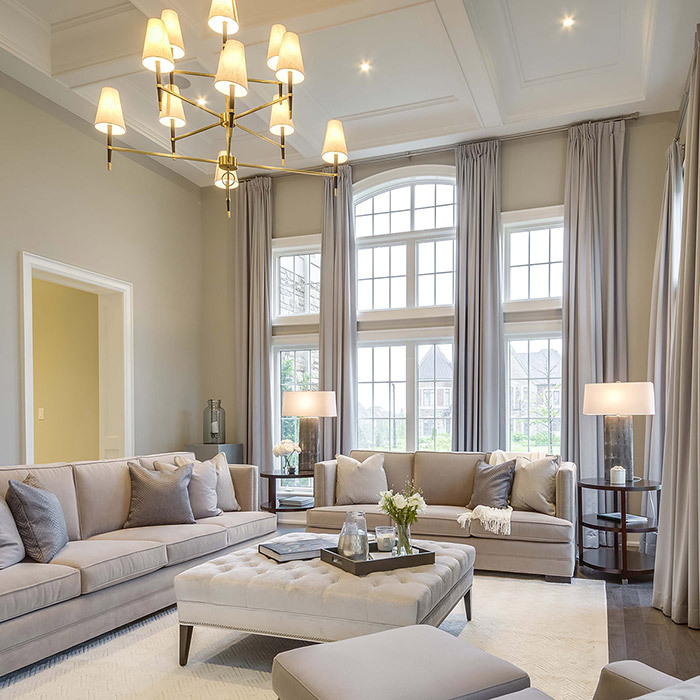 Key Lighting Trends for Million Dollar Homes! Tiff Special! Host the perfect Movie premier at home!